Between 2014 and 2016 West Africa – starting in Guinea before moving to Sierra Leon and Liberia – faced the largest and most complex Ebola outbreak since the virus was first discovered in 1976. Over 28,000 cases of Ebola were reported and 11,315 people died. Ebola virus disease (EVD) is a severe, often deadly disease in humans that is transmitted from wild animals, spreading through human-to-human transmission. Currently, there is no approved treatment available for Ebola, but the latest epidemic accelerated several programs for Ebola vaccine development. Many of the most advanced candidates are utilizing viral vector technology. Although vaccines are critical to people around the world, they have previously been considered low-revenue products, causing a significant decline in the number of vaccine manufacturers. Making matters worse, most processes used to develop and manufacture vaccines were established decades ago. The traditional production technology doesn’t allow manufacturers to easily scale up production in times of need. The new KUBio BSL-2 solution for viral vector-based therapeutics, including oncolytic vaccines and cell and gene therapies, seeks to address these challenges. KUBio BSL2 allows manufacturers to quickly build a ready-to-run, prefabricated modular manufacturing facility for these therapies, then rapidly add production capacity to meet demand. KUBio BSL2 for viral vector-based therapies builds on the previous KUBio for mAbs, an off-the-shelf, turnkey manufacturing solution for biopharmaceutical products. This new platform adds a BSL2 environment specifically designed to contain a virus within the facility to protect the employees inside the facility and the public outside the facility. KUBio BSL2 can be used to manufacture viral vector-based therapies, treatments that use viral vectors as antigen carriers for specific vaccines or to deliver genetic material to target cells, such in the case of gene therapy. In gene therapy, viral vectors effectively protect the new gene from degradation, while delivering it to the target cells that start using the new gene to perform its function to cure or treat a certain disease. The virus or gene is modified in a lab to find and destroy certain cells, such as cancer, without harming healthy cells. 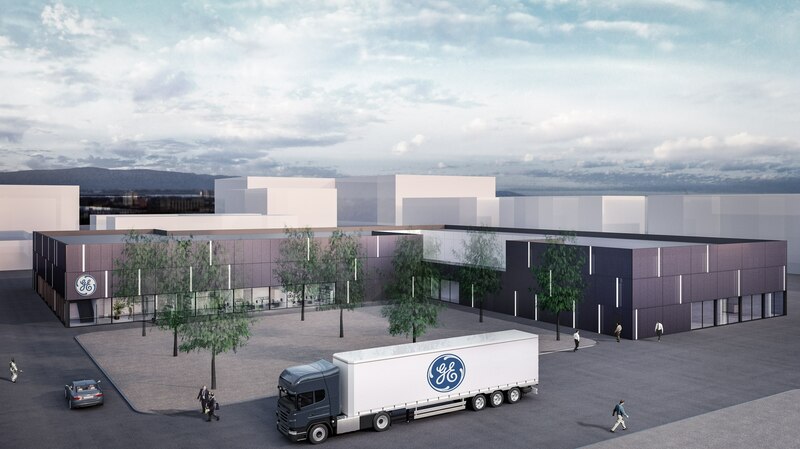 “It’s a new way of treating diseases with quite spectacular results,” says Mats Lundgren, Customer Application Director at GE Healthcare Life Sciences. “The viral vector-based therapy market is expected to grow rapidly and currently there are over 700 viral vector-based therapies in clinical trials,” Lundgren continues. Recently there have been many approvals for viral vector-based therapies. One group of such therapies is oncolytic viruses that preferentially infects and kills cancer cells. The first oncolytic virus approved by the FDA is a genetically modified oncolytic viral therapy to treat melanoma patients. “When you have a melanoma skin cancer that is difficult to treat, you can inject these viruses directly into the tumors and the viruses will infect the tumor cells and destroy them,” says Donati. These viruses must be custom-made for each treatment in specialized facilities and manufacturing them is costly and time-consuming – especially when facilities don’t have the flexibility to simultaneously produce several products. That’s where KUBio BSL2 can help. 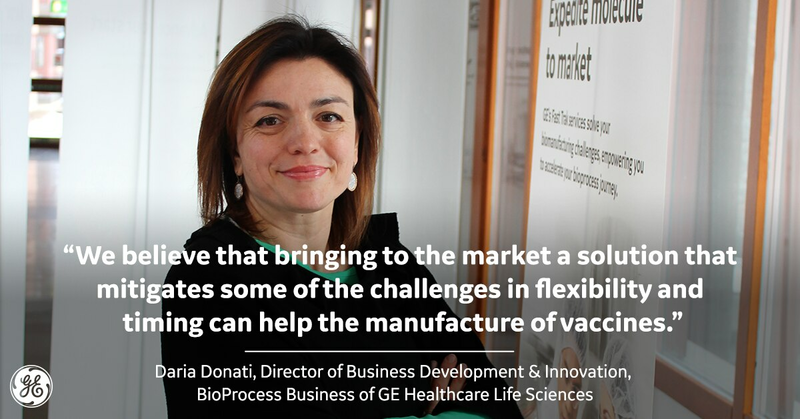 What’s more, Donati says KUBio BSL2 can help manufacture therapies that are already FDA-approved, but can also support the production of biopharmaceuticals for use in clinical trials, helping push research further and faster than ever before. KUBio BSL2 helps vaccine and viral vector-based therapy manufacturers gain speed and reduce risks in a prefabricated, modular facility. It includes a high-quality facility that can be preassembled and shipped to a customer’s location, with a fully disposable manufacturing line that safely produces viral vector-based therapies and other recombinant products. It’s designed to be expandable in time of need, allowing customers to access a pre-engineered product that can significantly reduce future engineering, investments and time, while reducing risk of implementation. It can be constructed, assembled and fully fitted-out to cGMP standards significantly faster than traditional stick-built facilities. This will support customers in quickly expanding manufacturing capacity to meet increased demand, adding therapies (both viral and non-viral based therapies), or going commercial more quickly with a new therapy. It’s also structured to allow more kinds of products to be produced, such as different strains of the flu vaccine, or multiple viral vector-based therapies. KUBio is based on single-use technologies, which allows customers to reduce labor and materials needed to perform cleaning and sterilization validation and qualification over traditional stainless steel-based process. This enables multi-product manufacturing and increased productivity due to less downtime between products. “Once the drug is produced, you discard the bag and plug in a new one. That allows for a quick turnaround from one product to another. It reduces the risk of contamination for the operator and the drug itself, which increases the security of production,” says Donati. This ultimately allows manufacturers to scale up production to reach patients faster – and potentially address infectious disease outbreaks like the one in West Africa. 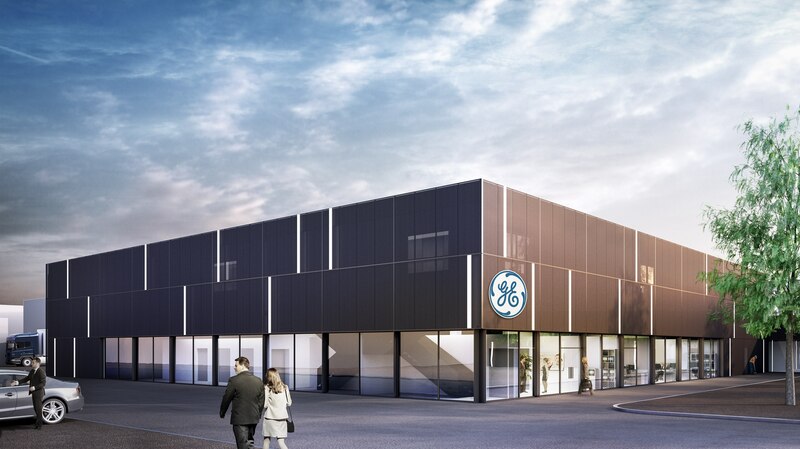 Get in touch with GE Healthcare on the new viral therapy manufacturing platform.